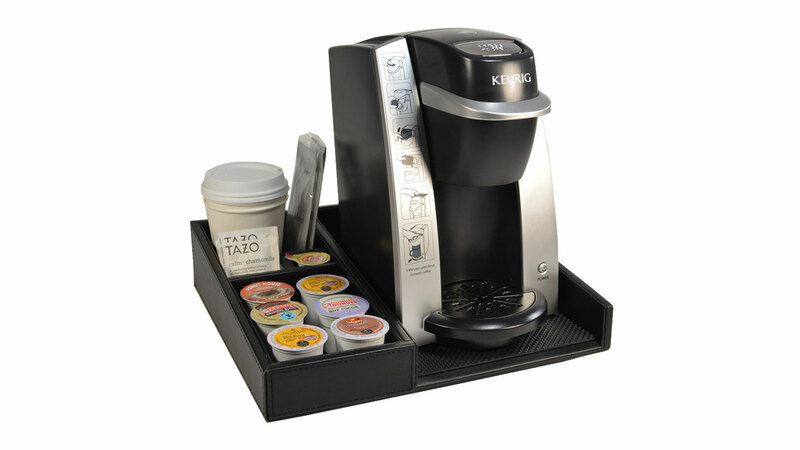 Let us organize your in-room coffee setup with our Deluxe Coffee Service Organizers. 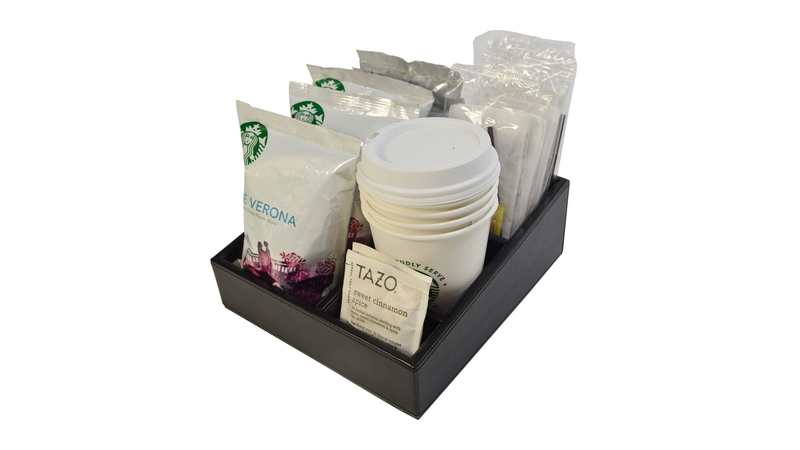 Our organizers are built to last and come with replacement liners for easy cleanup. 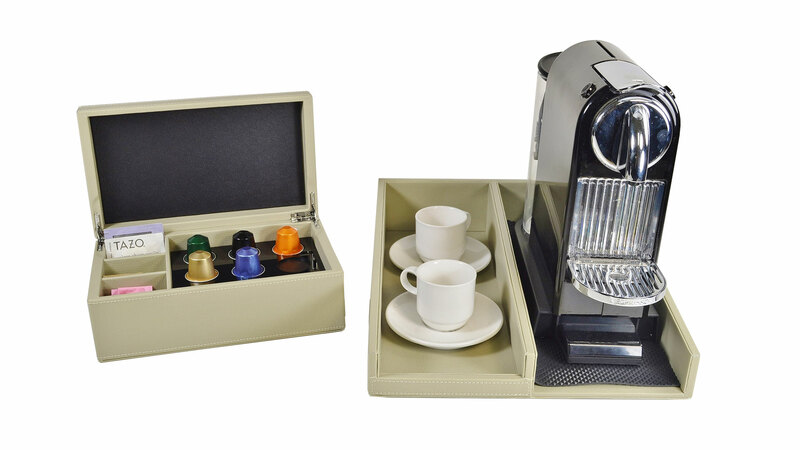 We can fit any Nespresso or Keurig setup, and we can also custom make them to fit any color, design, or size request. 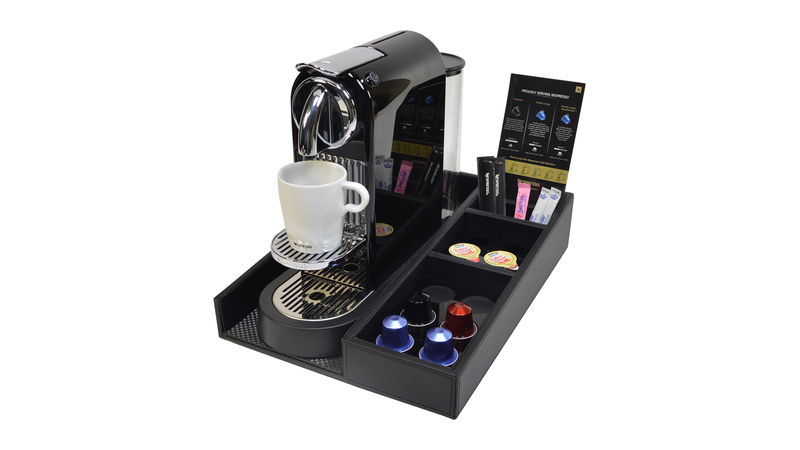 * 200 piece QTY min for Custom Styles.